The diamond buyers at San Diego Jewelry Buyers (SDJB) have recently published an excellent question and answer guide on how to sell diamond jewelry. If you have been wondering how to sell diamond jewelry or loose diamonds for immediate cash then this article is certainly a must read. Selling diamond jewelry for a best cash payment is trickier than selling gold, so you want to be as informed as possible when selling diamond rings, necklaces, bracelets, or other fine diamond jewelry. You want to feel confident and and select a San Diego diamond buyer with a strong reputation. 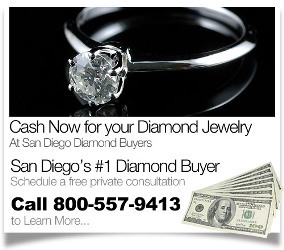 When selling diamond jewelry in San Diego, you have two options. You can sell your diamond to a business that purchases pre-owned diamonds (e.g. a jewelry buyer or pawn shop) or you can sell your diamond jewelry direct to the public. The benefit of selling direct to the public via an online auction site or classified ad is that you can often (but not always) get more cash for your item. 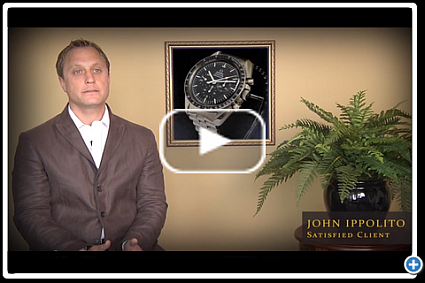 The benefit of selling used diamonds to a widely recognized diamond buyer like SDJB is that it is more secure, easier, and faster. To read the entire article, click on the following link: How to Sell Diamond Jewelry.